Cold War Greenland. Greenland physical map courtesy Uwe Dedering/Natural Earth Public Domain mapset, with overlay by James Mogle, College of Social Sciences and Public Policy, GIS, Florida State University, and the editors. Doel, Ronald Edmund, Kristine Harper, and Matthias Heymann. Exploring Greenland: Cold War Science and Technology on Ice. New York: Palgrave MacMillan, 2016. 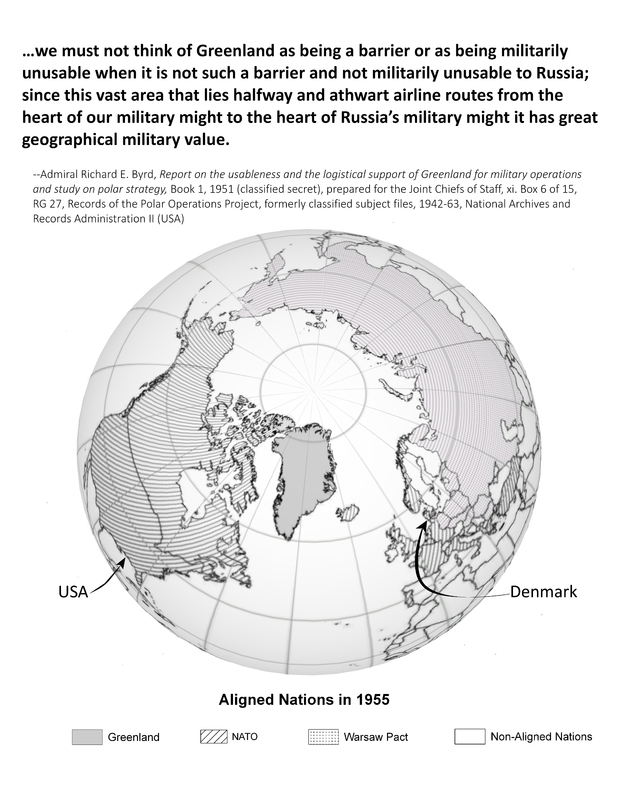 R.E Doel, K.C Harper, M. Heymann, “Greenland in the Cold War Map,” Exploring Greenland, accessed April 19, 2019, http://exploringgreenland.org/items/show/4.